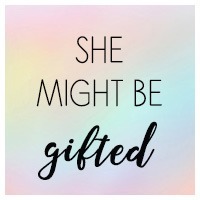 She Might Be is the UK’s first completely body positive, online magazine, and community that is written by bloggers and like-minded people, created by award-winning blogger, Georgina Grogan of She Might Be Loved. 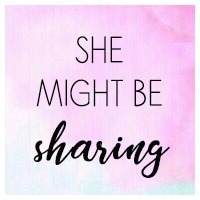 After launching in September 2016, She Might Be has posted new articles every single day and has welcomed over 50+ different writers! Our main goal is to be able to pay our main contributors, and build up enough money to be able to do more exciting projects with our writers and within our community! 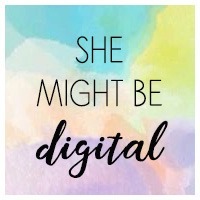 We cannot thank you enough for supporting She Might Be! 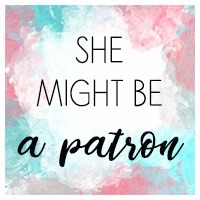 She Might Be A Patron! You'll make us SO happy! Entered into a giveaway every month. Behind-the-scenes previews, see sneak peeks of posts. Patron-only polls, have a say. Free digital print every month. One Follow Friday mention every month. 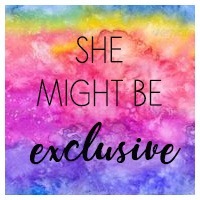 Access to our She Might Be Exclusive Facebook Group! Here we can be your agony aunt, personal shopper, blog mentor, life coach (Daisy is training! ), or just a listening ear. We'll follow you on Twitter, Facebook, and Instagram. Entry into an exclusive VIP monthly giveaway, prizes will include plus size fashion pieces, vouches, beauty gifts etc. 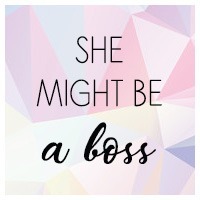 She Might Be A Boss! This one is more aimed for bloggers or businesses who want to up their social media shares, exposure, and link backs. Feature on our Instagram every month. Featured on our Facebook ever month. 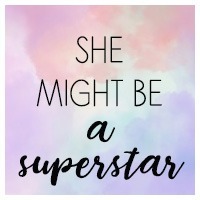 She Might Be A SUPERSTAR! Monthly entry to win a 1 hour mentoring session with a writer of your choice, on topics such as Freelance, Social Media Management, Blogging, Makeup, and Plus Size Fashion. (Daisy, Sophie, and Georgina currently taking mentoring sessions). Via Skype, Whatsapp, or Email. Personalised video shoutout on our Instagram stories every month. A 200 x 200 advert on our Website sidebar (rotated). Entered into an exclusive draw to win a photoshoot! Georgina will make you up with her hair and makeup skills, you'll then have a style session, and be photographed by AlfieBSmith in Sheffield. Travel costs will be provided. The photos will be in a post on the Magazine! (1 every 6 months, drawn when we reach 200 Patrons). Optional feature on our Instagram every month. Optional feature on our Facebook every month. At 50 Patrons we are going to be screaming with happiness!